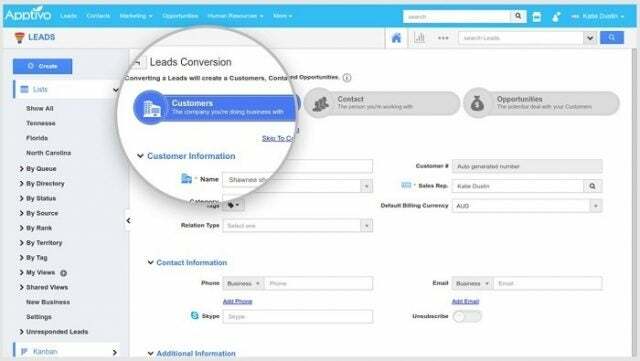 Strong core CRM features at a great price. Apptivo CRM offers all the core features businesses need: It stores customer data, manages sales and billing, and hosts a help desk. 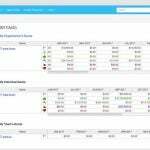 Better still, it comes at one of the lowest prices in the CRM industry, making it an attractive pick for cost-efficient managers. The company’s broad reach — it’s used by more than 150,000 businesses over 194 countries — speaks for itself. 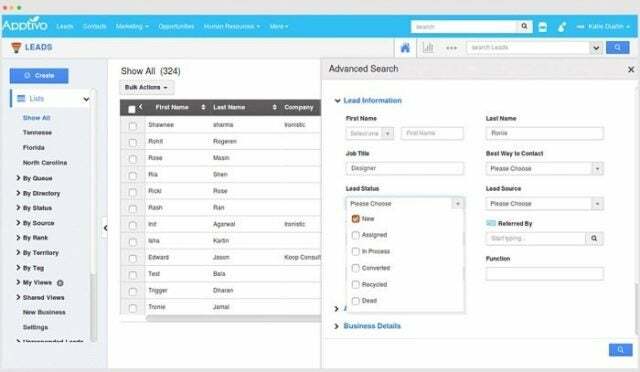 Apptivo’s cloud-based suite of CRM apps focuses on three main customer relation management goals: Managing contacts, automating sales tasks, and providing customer support. All apps are hosted on the main Apptivo platform, and are offered as a package in four tiers rather than on a per-app basis. In other words, the lowest tier offers all the apps, though with limited functionality. By allowing customers to avoid per-app subscriptions, Apptivo highlights the interdependence of its apps. 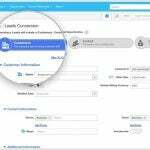 Add-on integrations can be added to any plan, and migration options are available for companies already using CRMs from vendors including Salesforce and Act. Here’s our review breaking down the four Apptivo CRM service plans that companies should consider. Here’s a look at what features and pricing plans are available in a number of different CRM services and how Apptivo competes with them. Apptivo cites the Premium plan as their “featured” plan, and it’s easy to see why. Under it, third-party integrations and marketing features are available for the first time, while functionality like analytics reports and security features are greatly expanded. Custom analytics reports — users can schedule and customize their data reports, including options such as a win/loss/lead analysis for sales. This plan includes all the features mentioned above, while expanding or removing caps on data and users, and offering priority support options rather than the standard ones available to those in the Premium CRM plan. While few features are actually new, the greatly expanded storage, emails, and calls makes this plan attractive to a growing business with needs that can’t be met under the Premium plan’s data caps. Sure, the features below seem sparse, but this plan removes caps that give a company room to stretch and grow. 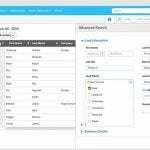 This video lecture gives a high-level look at the Apptivo platform and the CRM software service it provides. It explains how the CRM serves as a central data hub, an organizational system for prioritizing deals, and a help desk that quickly processes customer inquiries. The (lengthy) video goes on to cover these highlights in more depth, but its first three minutes provide the big picture. Apptivo offers phone and email support, though their available hours vary depending on the customer’s service plan: Email support is available during normal work hours for those using the free plan, but available 24/7 for the other plans. Phone support is not available for the Starter plan, is available from 9 a.m. until 6 p.m. PT under the Premium plan, is available 24 hours a day five days a week under the Ultimate plan, and available 24/7 through the Enterprise plan. Apptivo’s live chat support is 24/7 for all plans, even the free one. In addition, remote and onsite training sessions are available for any business with a paying service plan. The company also offers a free 30-day trial of their software and a one-on-one demo session for those who need it. Apptivo offers four service plan tiers: Starter, Premium, Ultimate, and Enterprise. Apptivo Starter is the free plan, and is capped at three users. Apptivo Premium offers expanded features and is $8/month/user, billed annually ($10/month/user when billed monthly). 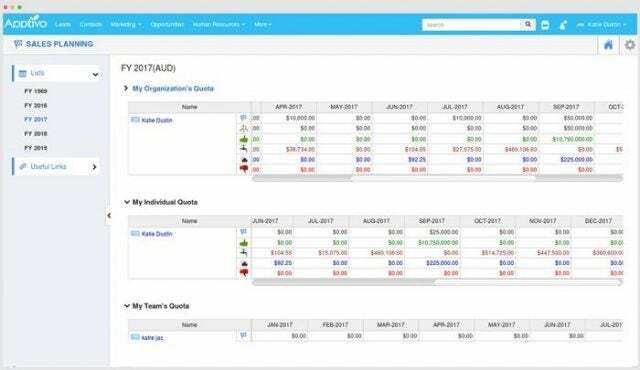 Apptivo Ultimate offers all CRM features as well as priority support, and costs $20/month/user, billed annually ($25/month/user when billed monthly). Finally, any businesses interested in upgrading to Apptivo Enterprise must contact the company directly for a quote. Training packages are an additional cost. Costs vary depending on the number of sessions, but remote training starts at $125 for a single session and onsite training starts at $850 for one session. We recommend Apptivo CRM for companies with basic CRM needs who may need more in the future. It’s the definition of a cost-effective CRM, offering strong core capabilities with strong third-party integration options, at a price point well below most of its competitors.